It’s a Harry Potter advent calendar! Includes 24 Funko Pocket Pops! Christmas is truly a magical time. And that’s why there’s no better way to count down to the big day than with 24 days of spellbinding magic, conjured by this Harry Potter Pocket Pop! advent calendar! 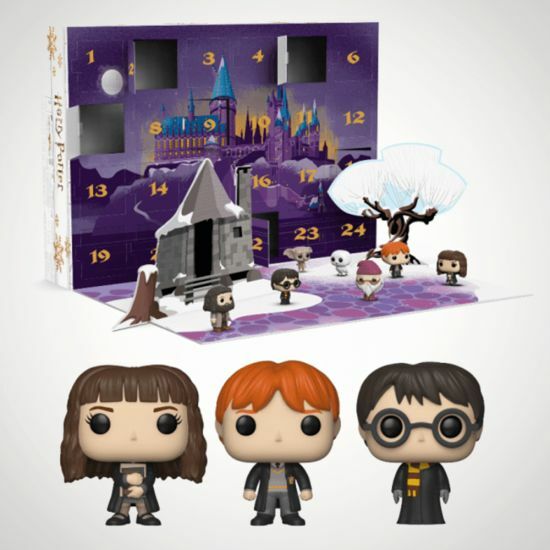 The wizards at Funko have created an enchanting advent calendar that’s sure to make for a Siriusly wand-erful Christmas. It features 24 Pocket Pop! Figures, which include Harry, Hermione, Ron, Dumbledore, Hagrid, and loads of other characters from the Potter series. The figures stand around 4 cm tall and are filled with X(spellia)Mas magic! Of course, you’ll be singing Jingle Spells, visiting Holly-vander’s wand shop, and hanging a wreath on your Dumbledore this festive season. But, be sure to order your Harry Potter Pop! Vinyl Advent Calendar today to make sure you have a very Harry Christmas!